Couchbase is tackling challenges that come with managing database infrastructure in the cloud with the launch of Couchbase Managed Cloud. Couchbase Managed Cloud is a managed database service designed to eliminate the tedious and time-consuming task of maintaining and managing data in the cloud. The solution is being offered in partnership with Rackspace and will combine Couchbase’s NoSQL technology with Rackspace’s data, security and infrastructure features. “We developed Couchbase Managed Cloud to alleviate the time and cost burdens associated with cloud database infrastructure, and instead help organizations focus on developing the applications and experiences core to their business. With this offering, organizations can outsource the administration of their database infrastructure so they can free up resources and drive key business initiatives,” said Scott Anderson, senior vice president of product management and business operations at Couchbase. Key features of the database service include: ability to free up resources, proactive maintenance, on-demand scaling, and the ability to reduce DevOps/DBA staffing. “By leveraging the most powerful NoSQL technology, the Couchbase Managed Cloud provides cloud and database infrastructure management with 24/7/365 support and always-on capabilities. With features like multi-cloud support, end-to-end security, and high performance via co-located applications and databases, the Couchbase Data Platform eliminates the operational burden of deploying and managing your data platform infrastructure in the cloud so that you can focus on strategic business initiatives,” according to its website. In addition, the company announced the latest version of the Couchbase Data Platform with Couchbase Server 5.5. This release comes with ANSI joins, eventing, autonomous operator for Kubernetes, index partitioning, improved query performance, security compliance, and the ability to meet new data regulations such as the GDPR. 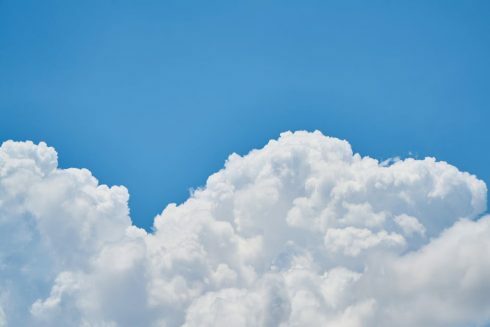 According to the company, Couchbase Server enables developers to build and deploy apps across multi-cloud environments in order to improve customer and employee experiences. “Couchbase Server 5.5 takes developer agility to a new level by enabling them to build enterprise grade applications with significant new capabilities. In addition, with the GDPR compliance deadline around the corner, we’ve addressed operational robustness in areas such as data manageability and security as customers increasingly put more and more mission-critical data into the Couchbase Data Platform,” said Ravi Mayuram, CTO and senior vice president of engineering for Couchbase.